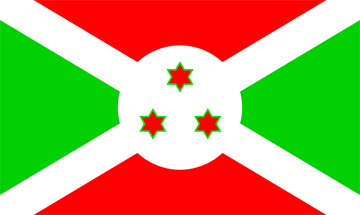 To learn more about shipping a vehicle to Burundi call A1 Overseas International at 1-800-450-5319 or fill out our form for a FREE quote! Anyone interested in shipping a private car to Burundi can take advantage of the safe and reliable shipping options offered by A1 Overseas International. Shipping company professionals at A1 Overseas International, which is an international auto transportation organization, recommend that shippers do not transport a vehicle unless it is equipped with 4-wheel drive since less than 10% of the roads are paved. If you have the right kind of vehicle to navigate across the rugged terrain of Burundi, there are auto shipping options available for you. Roll On Roll Off- This method of shipping is highly utilized for its affordable rate and reliability. Your vehicle will need to be operable so it can be rolled on and off of the ship and all damages need to be documented. All vehicles being imported using the roll on roll off method must be emptied of any personal possessions. Container Shipping- This is beneficial for anyone interested in shipping other items with their vehicle. Shippers can fill their car with personal belongings as well as the empty space inside of the container. Cars being exported inside of a container are also protected against weather conditions. As a shipper, you will be able to choose the method of shipping that best suits the vehicle you want to transport. If you do not know which method is best, you can ask a representative of A1 Overseas International to find out what they would recommend. The cost of shipping depends on the method of transportation, the weight of the vehicle and the distance between the port of departure and the destination port in Burundi. Find out more about information by calling 1-800-450-5319 or fill out our form! Don’t forget to ask for a FREE price quote on boat, motorcycle and car shipping!